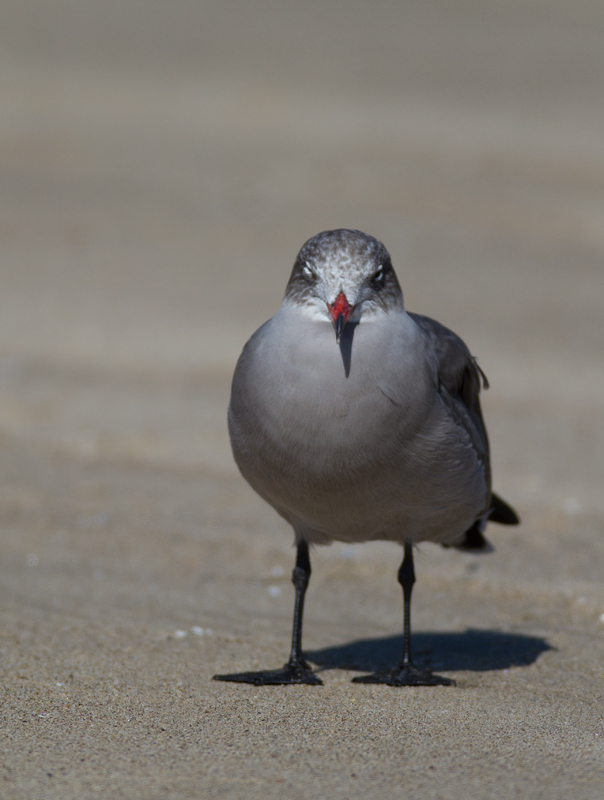 October in Southern California - Page 1. 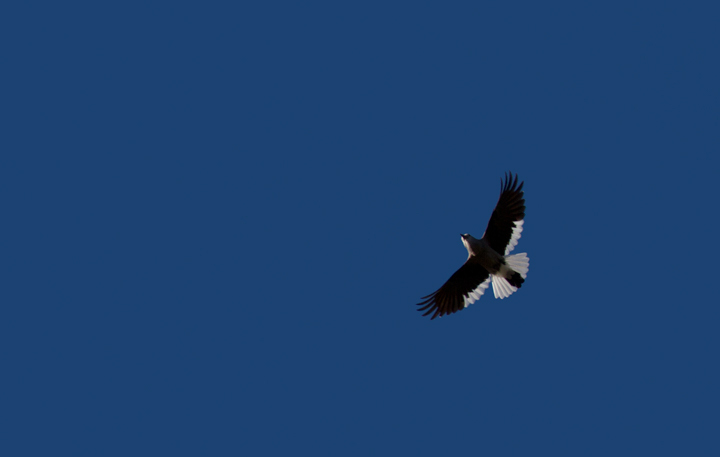 Last updated: 10/12/2011. 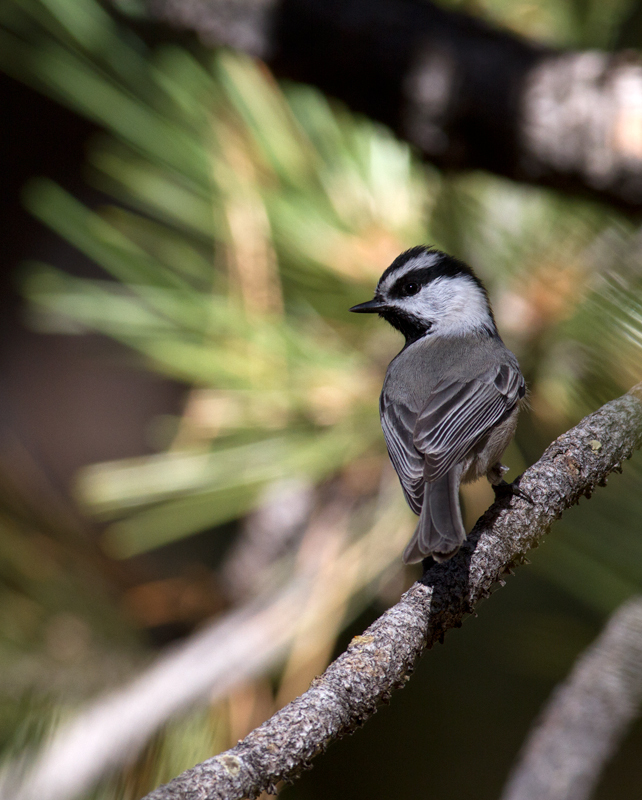 Below: A Mountain Chickadee in the hills above Santa Barbara, California (10/1/2011). 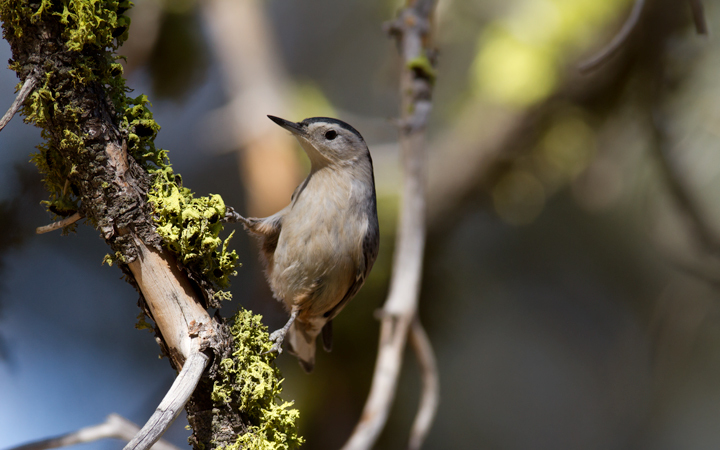 Below: A Pygmy Nuthatch near McGill Campground, California (10/1/2011). 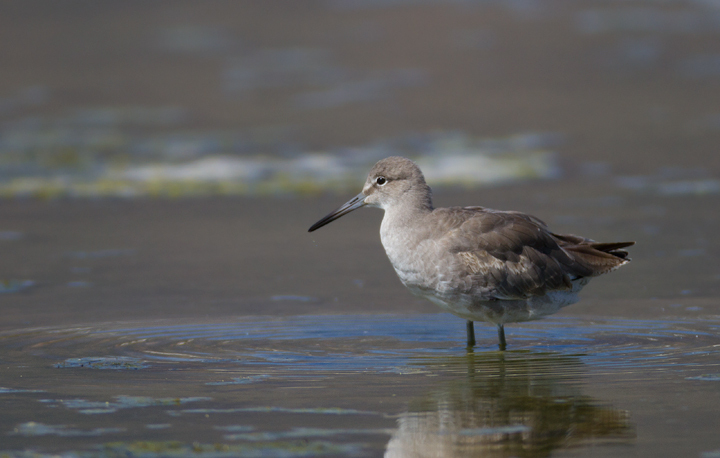 Below: A Western Willet at Malibu Lagoon, California (9/30/2011). 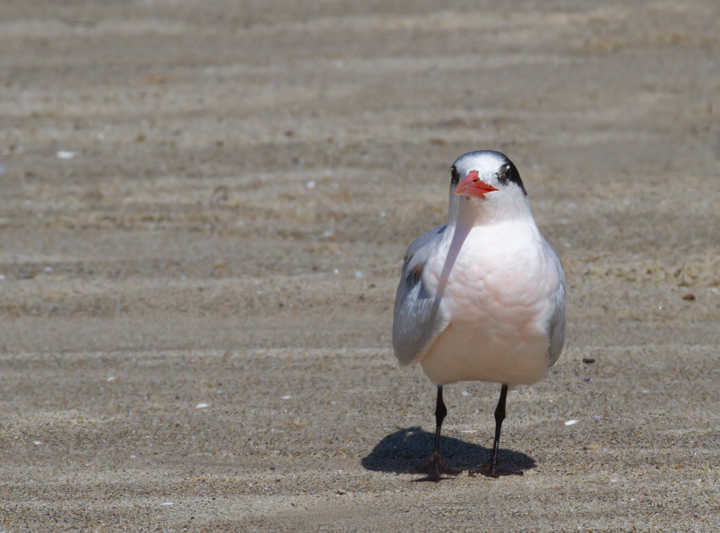 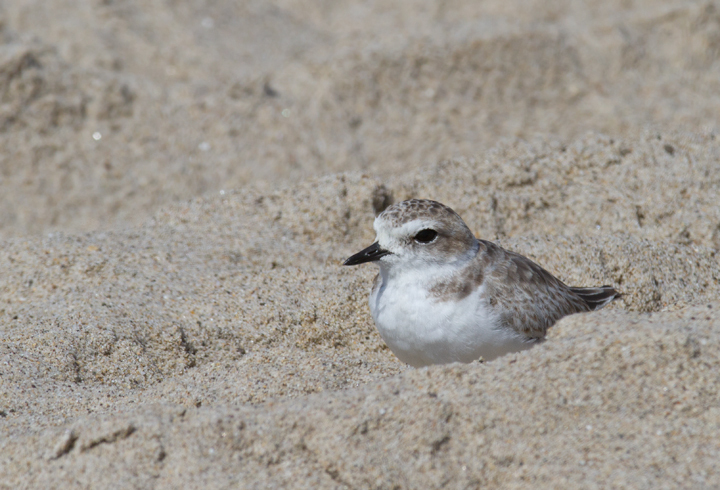 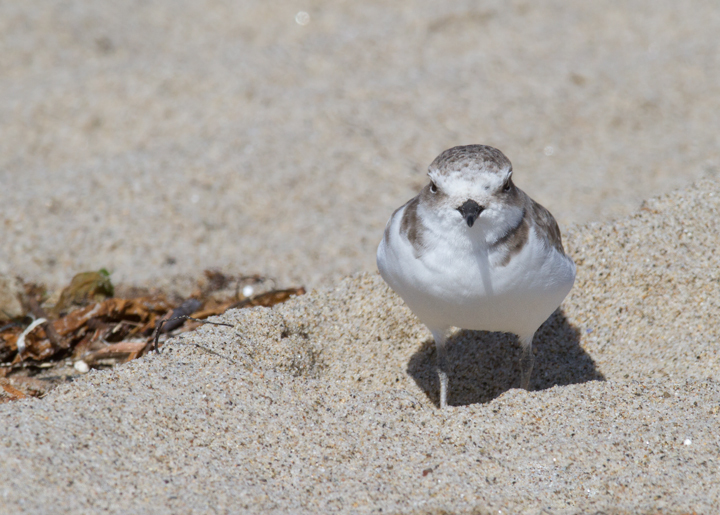 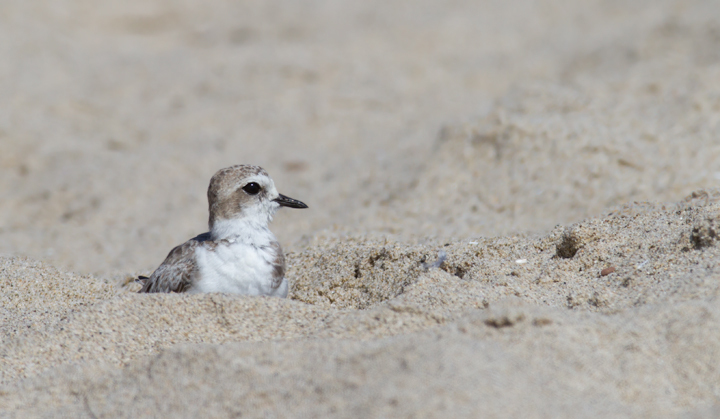 Below: A very pink Elegant Tern on the beach at Malibu Lagoon, California (9/30/2011). 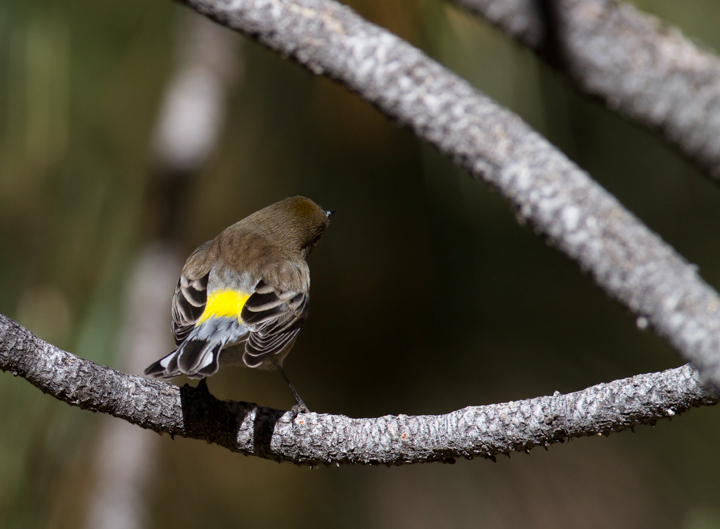 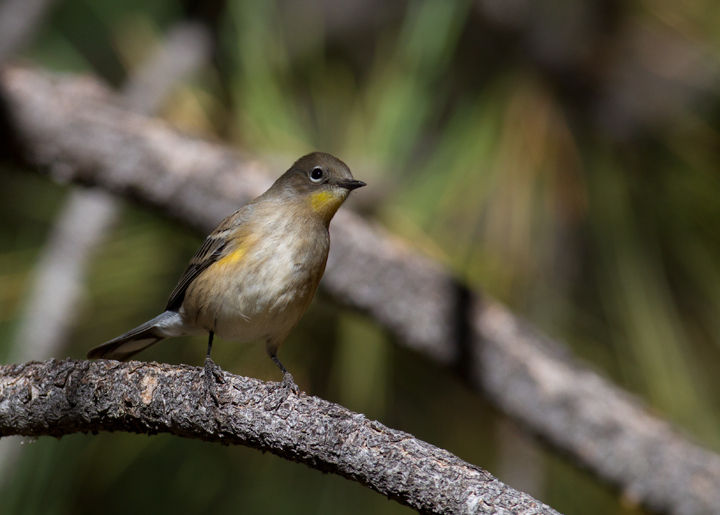 Below: An Audubon's Warbler in Santa Barbara Co., California (10/1/2011). 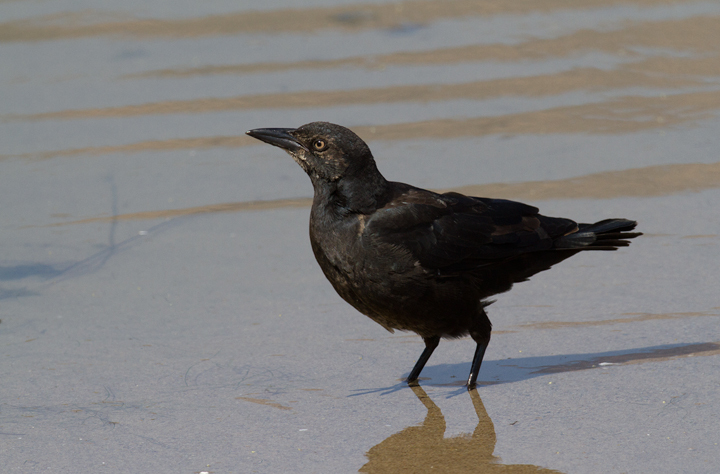 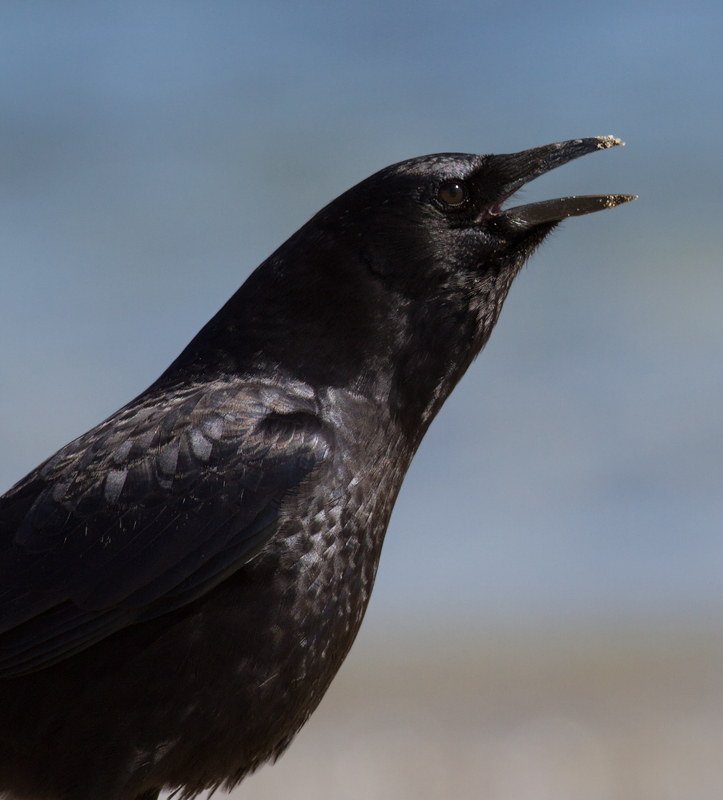 Below: An American Crow on the beach at Malibu Lagoon, California (9/30/2011). 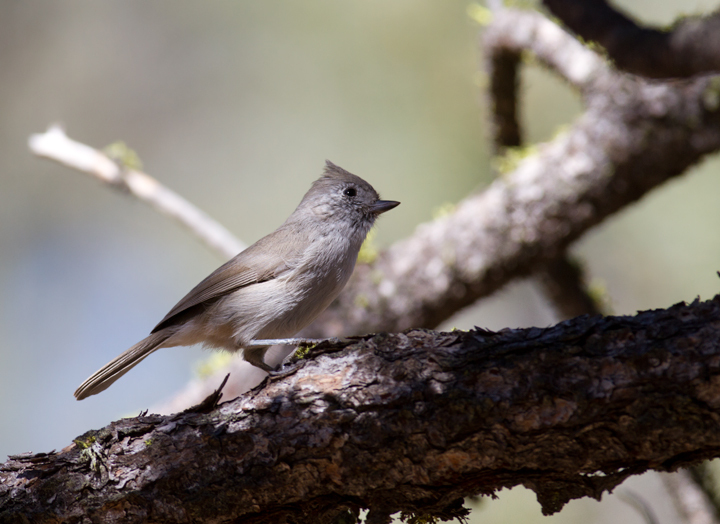 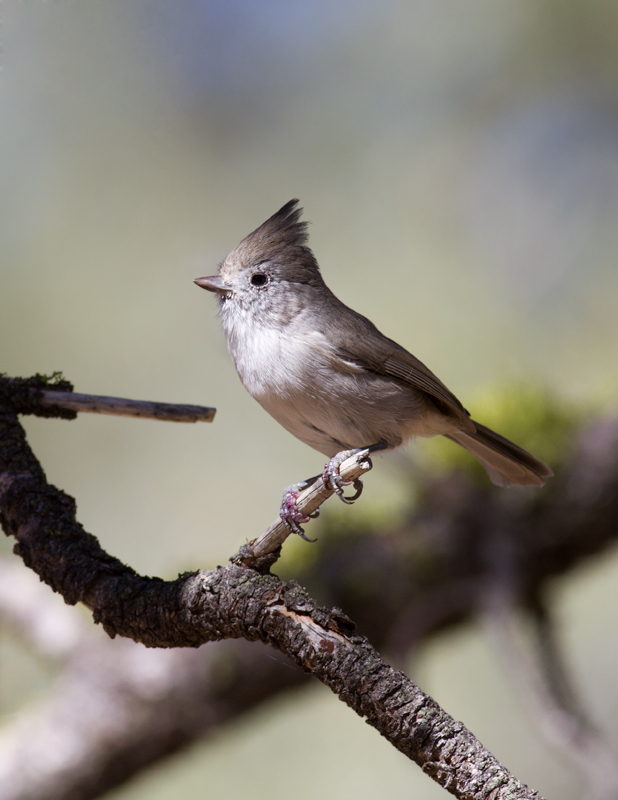 Below: An Oak Titmouse in Santa Barbara Co., California (10/1/2011). 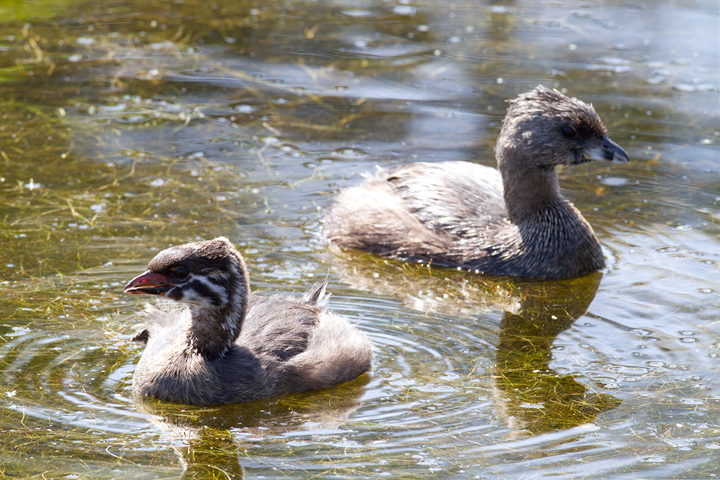 Below: An immature Pied-billed Grebe with older bird at Malibu Lagoon, California (9/30/2011). 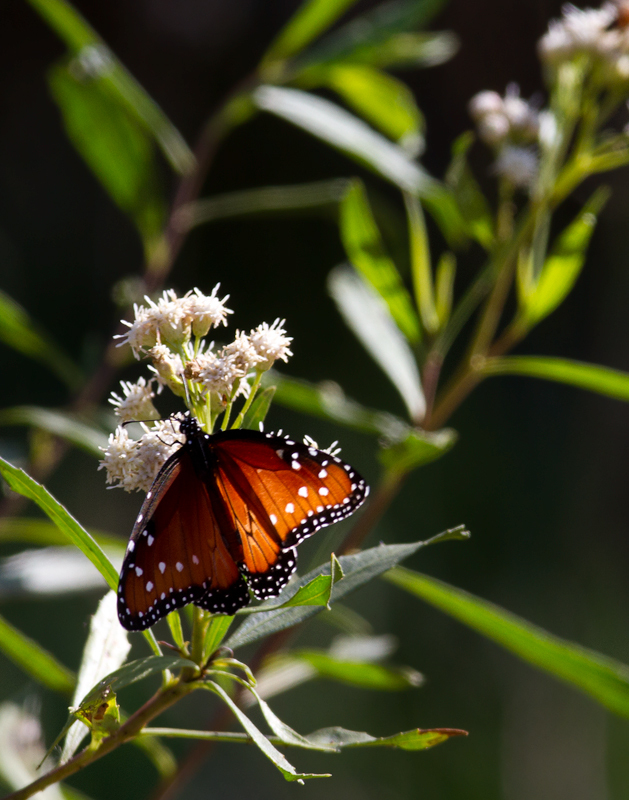 Below: This Queen, related to the Monarch, was a butterfly highlight at Malibu Lagoon, California (9/30/2011). 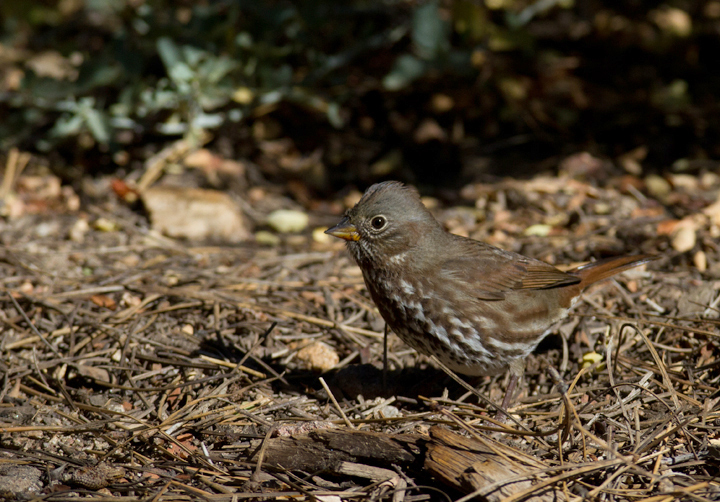 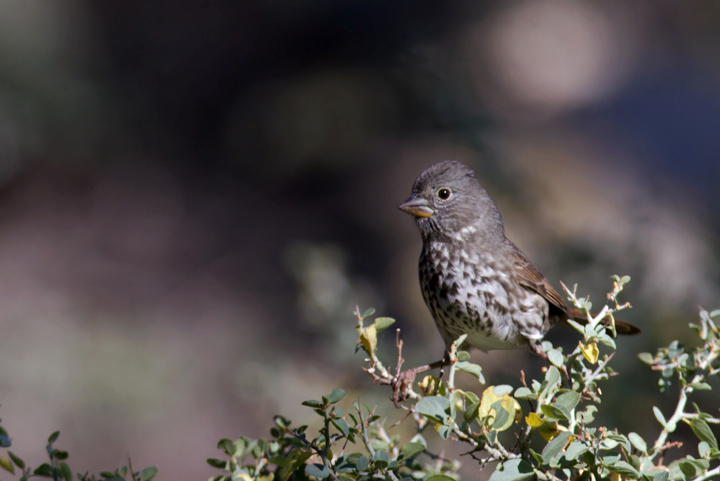 Below: "Thick-billed" Fox Sparrows near Mount Pinos, California (10/1/2011). 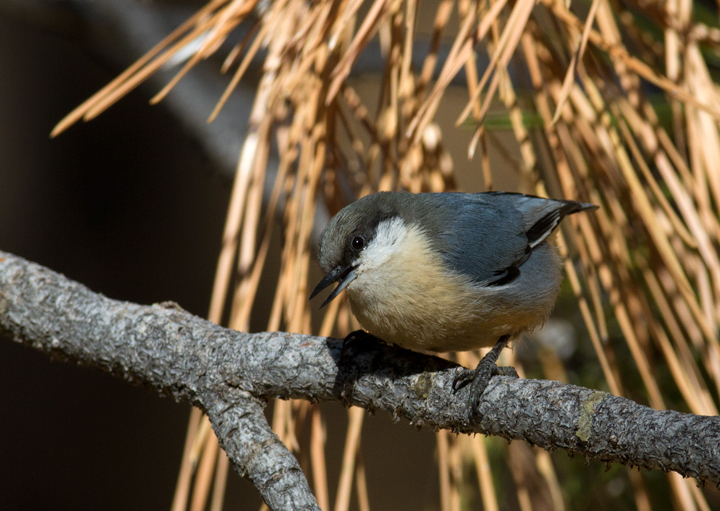 Below: A Clark's Nutcracker in flight near Mount Pinos, California (10/1/2011). 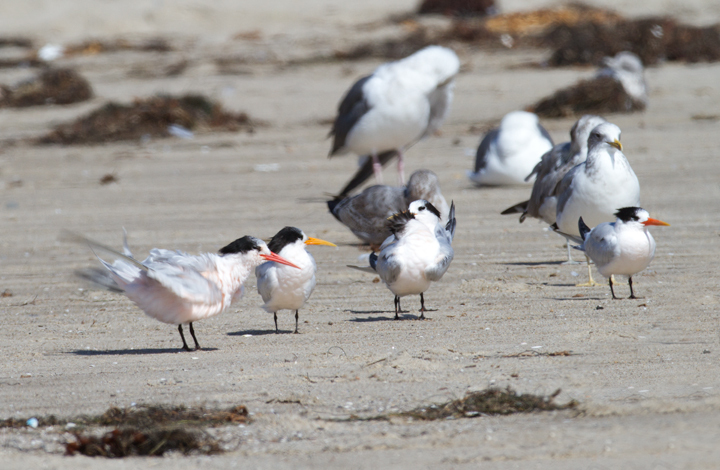 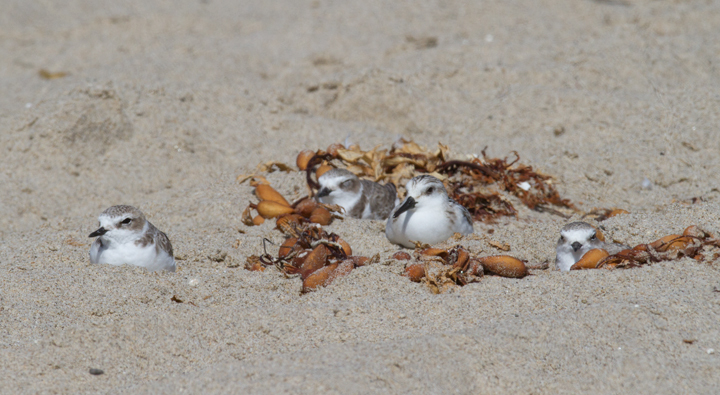 Below: California Gulls in Malibu, California (9/30/2011). 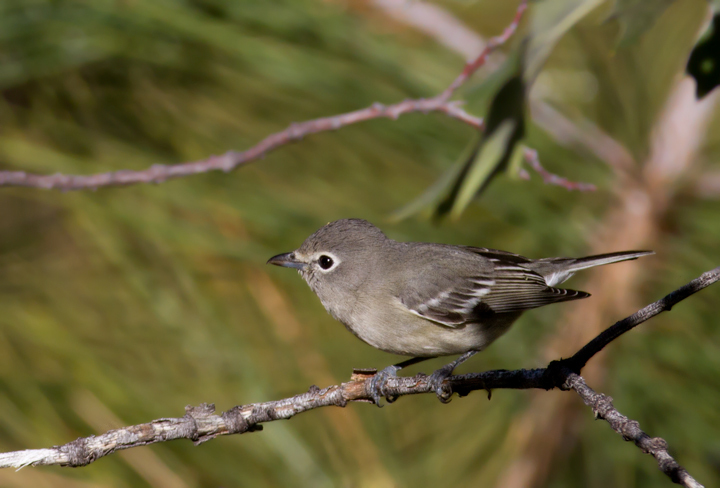 Below: A Plumbeous Vireo near McGill Campground, California (10/1/2011). 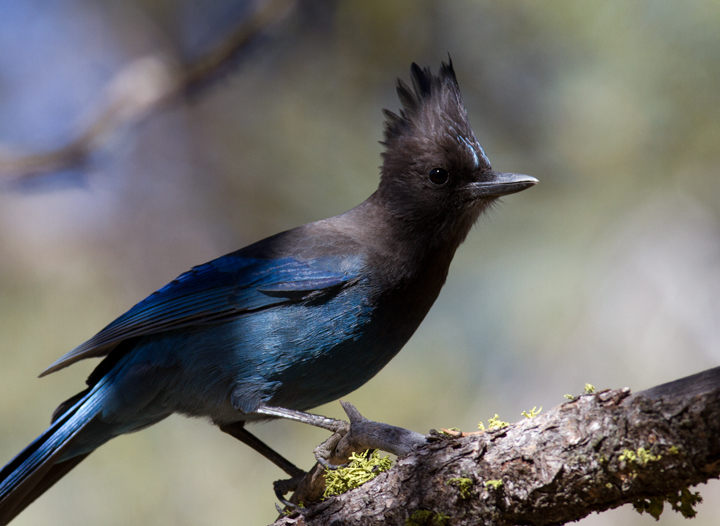 Below: A Steller's Jay poses in the morning light near Mount Pinos, California (10/1/2011). 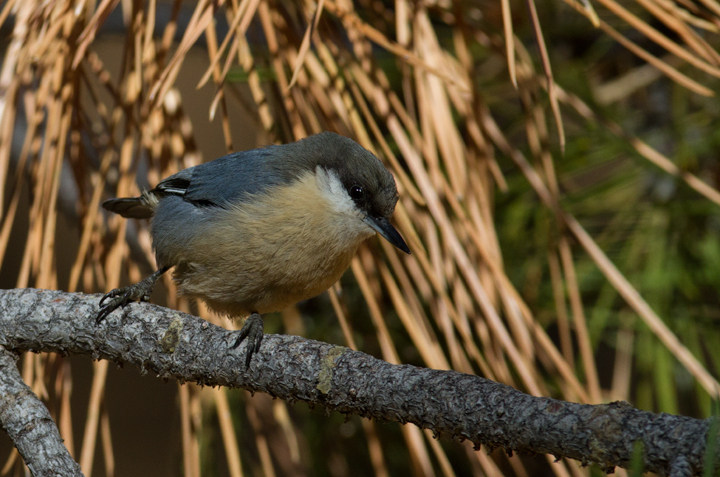 Below: The White-breasted Nuthatches on the West Coast are different from our East Coast birds in many ways, most notably in their vocalizations. 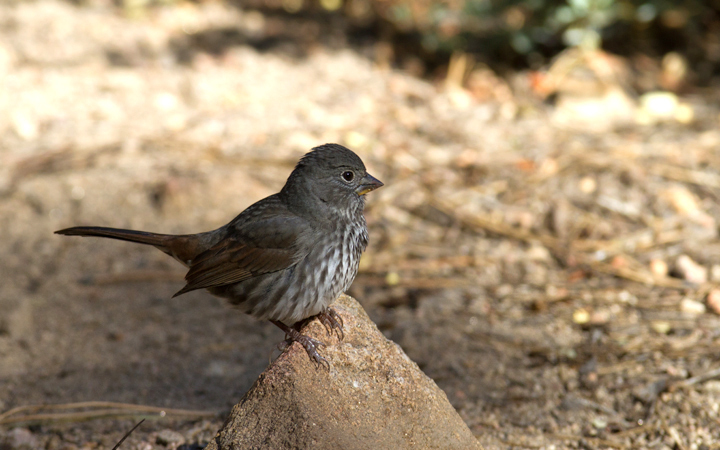 I'll post some recordings of them soon. 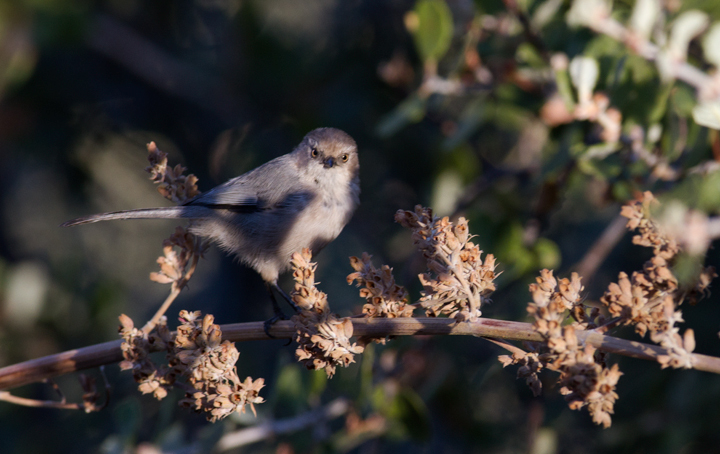 Below: A Bushtit in Santa Barbara Co., California (10/1/2011). 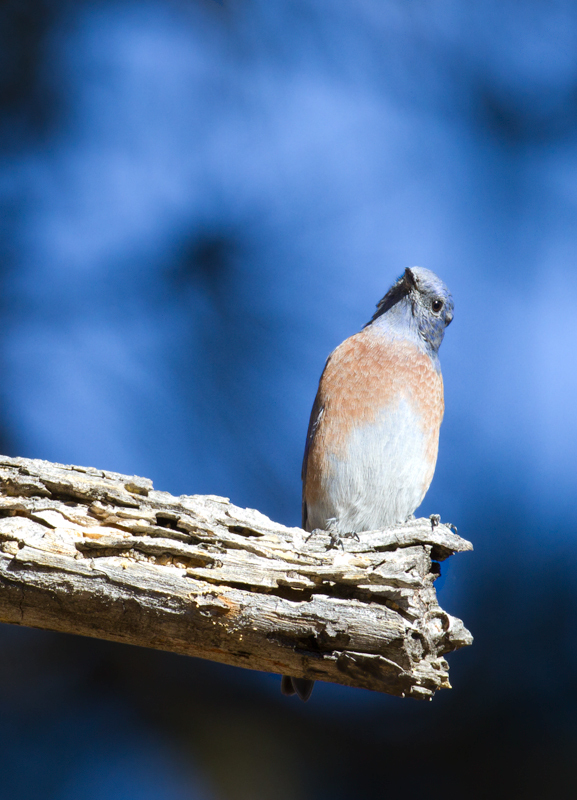 Below: A Western Bluebird in Santa Barbara Co., California (10/1/2011). 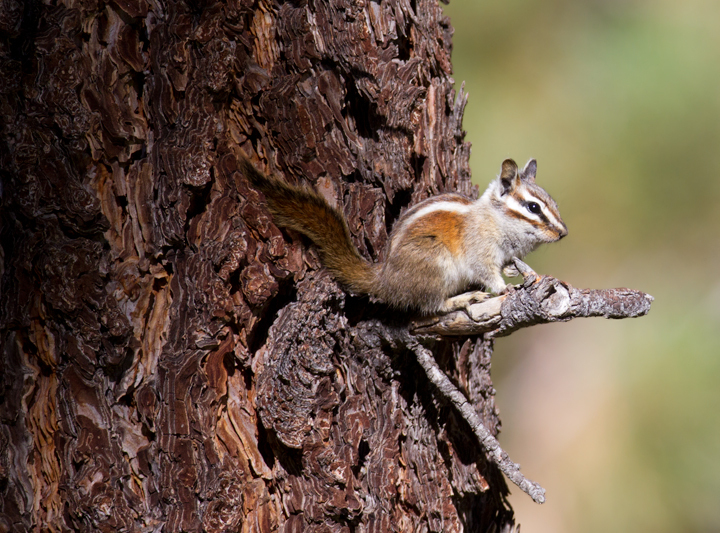 Below: A Lodgepole Chipmunk on Mount Pinos, California (10/1/2011). 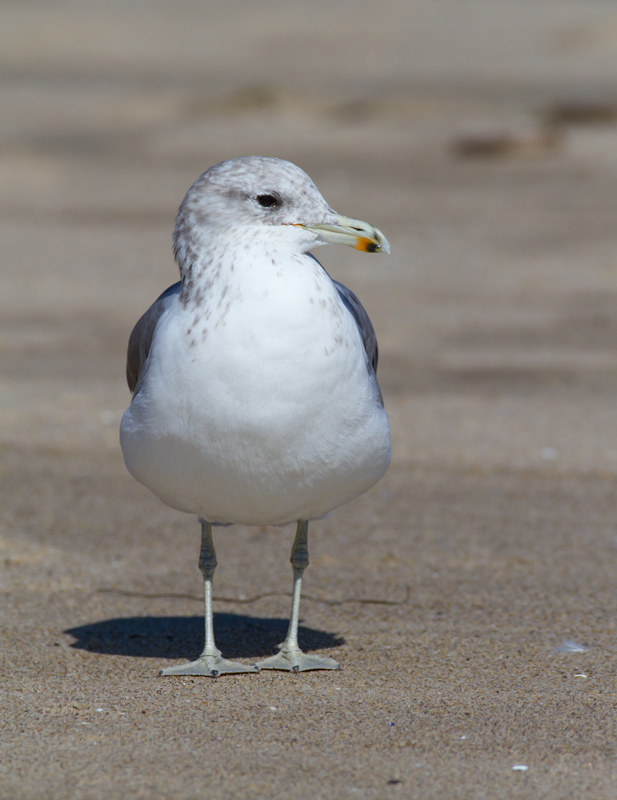 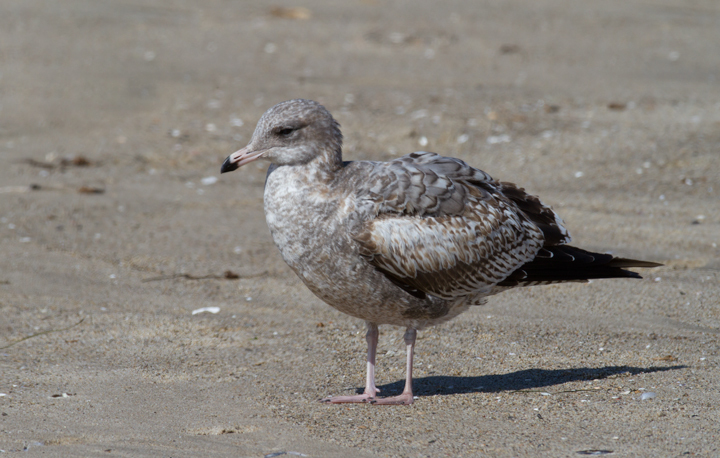 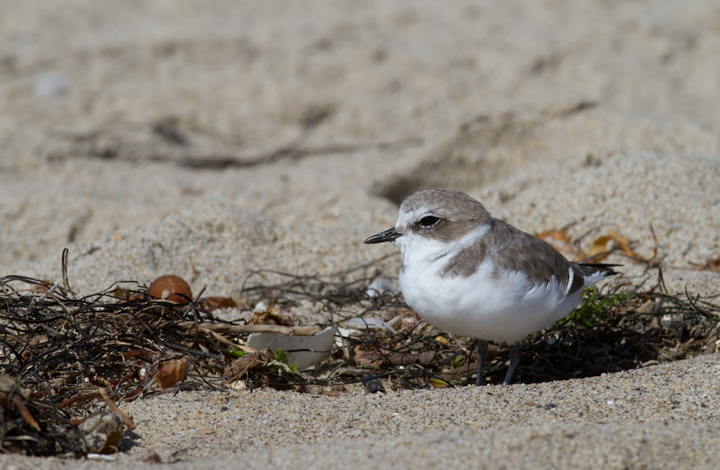 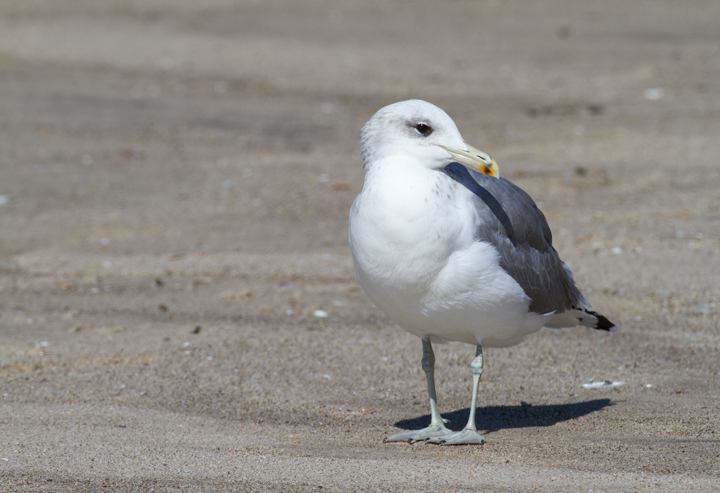 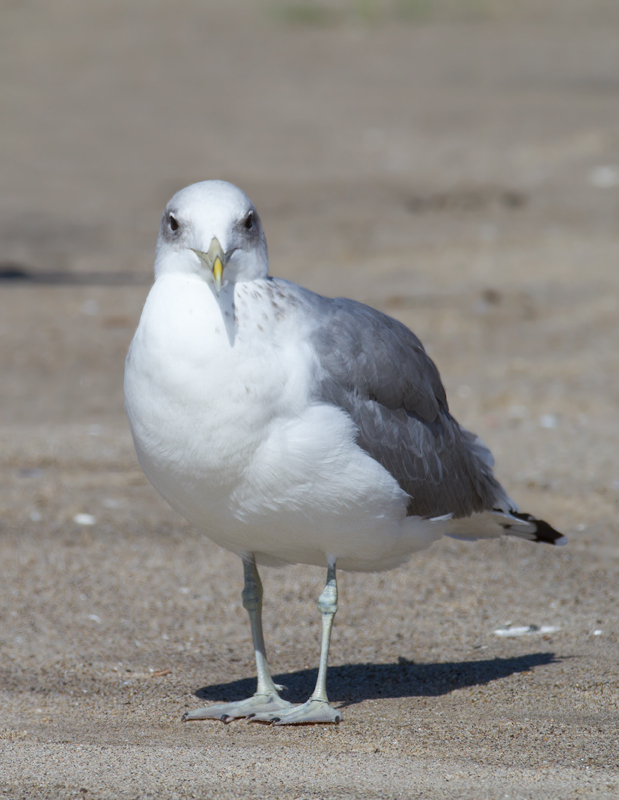 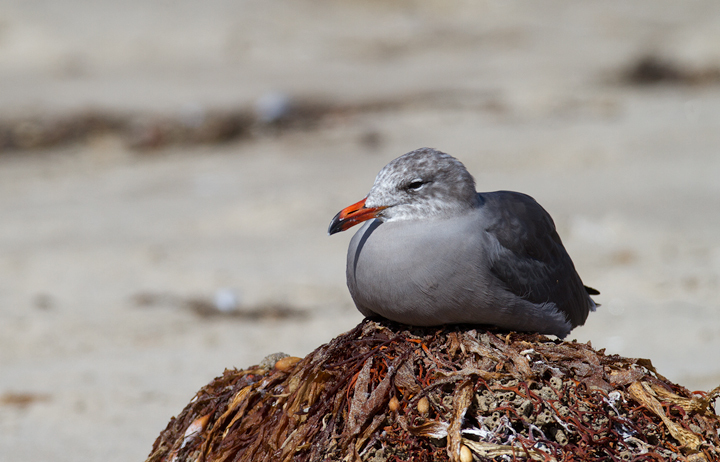 Below: An adult Heermann's Gull at Malibu Lagoon, California (9/30/2011). 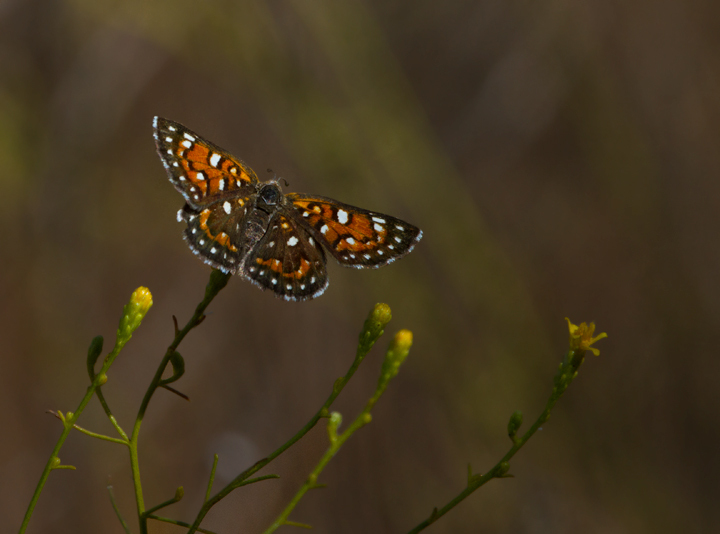 Below: A Mormon Metalmark, my favorite new butterfly of the trip, found while searching for California Condors in Santa Barbara Co., California (10/1/2011). 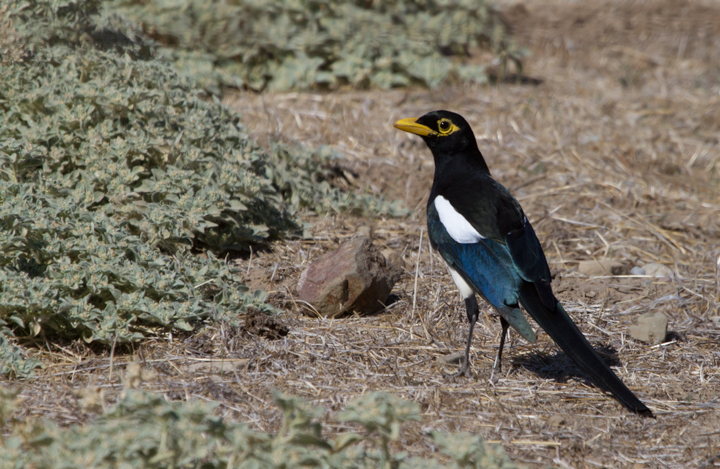 Below: No southern California trip would be complete without tracking down a few Yellow-billed Magpies - Santa Barbara Co., California (10/1/2011).